Can Kabul Handle its Growing Pains? Plus, Taliban surges attacks, Imran Khan takes his protests to Lahore, and India bans Xiaomi. South Asia links. 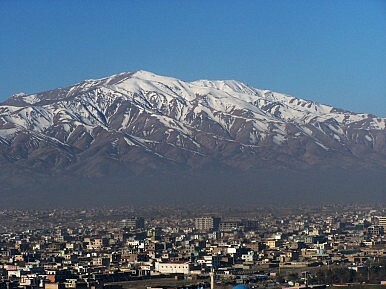 A report in The Guardian takes a look at Afghanistan’s capital, Kabul–a booming metropolis that is described as “bursting at the seams.” Kabul’s rapid urbanization in recent years is causing problems for the city government, but the city nonetheless represents a beacon of hope in Afghanistan as international forces prepare to withdraw after over a decade of war. The primary problem with Kabul’s urbanization is that population growth is out-pacing the city’s ability to provide jobs and services. The Guardian report paints a picture of a “city beset by criminality and economic malaise” as international troops depart. Meanwhile, also in Afghanistan, the Taliban continue a nationwide campaign to increase attacks as international forces prepare to depart. The Taliban has ramped up its attacks since Afghanistan’s new government came to office. The group is determined to shake the confidence of the new national unity government. Afghan President Ashraf Ghani recently condemned the surge in the Taliban’s attacks across the country: “We will never surrender,” Ghani said. He added that the Taliban’s attacks were “unacceptable,” “un-Islamic,” and “inhuman.” The Taliban’s ‘surge’ in attacks represents one of the foremost challenges for the Afghan government as it transitions into 2015. Across the border in Pakistan, Imran Khan, former cricketer, leader of the Pakistan Tehreek-e-Insaaf (PTI) party and instigator of August’s Azadi march in Islamabad, led a day of protest in the eastern Pakistani city of Lahore. Khan is attempting to spread his protests against the current government led by Nawaz Sharif’s Pakistan Muslim League (PML-N) party across the rest of the country. He claims that Sharif won the May 2013 election using illegitimate means. The Pakistani government is attempting to talk to the PTI, but Khan has been unreceptive to the government’s overtures so far. Indian Prime Minister Narendra Modi is no stranger to using Twitter for diplomatic purposes. On Monday, after Japanese Prime Minister Shinzo Abe’s Liberal Democratic Party (LDP) swept Japan’s snap elections, Modi took to Twitter to congratulate Abe on his election victory. “Congratulations @AbeShinzo on your victory in the elections. Japan will scale newer heights of progress under your able leadership,” Modi tweeted. “I look forward to continuing to work closely with @AbeShinzo to strengthen the relations between India & Japan,” he added. Modi and Abe share a close personal friendship that has bolstered India-Japan relations during their tenure. Modi traveled to Japan in September 2014 and concluded several bilateral agreements with Japan. India’s Delhi High Court effectively banned China’s Xiaomi Technology from the country by issuing an order that forbids the company from “manufacturing, assembling, importing, selling or advertising” its smartphones in India.” Xiaomi is known as “China’s Apple” and has vowed to contend the High Court ban. The move was not spurred by national security concerns or economic protectionism. The Delhi Court issued the order following a patent dispute filed by Ericsson, a Swedish telecommunications company.